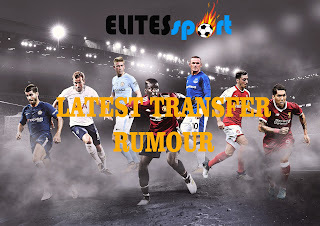 This morning we bring to you all transfer rumours and update from around the world. From Chelsea secret talk with Fernandes and Real Madrid willingness to keep Gareth Bale. Manchester United and Barcelona have made open their interest to sign Antonio Griezman again from Atl.Madrid. The Spanish side is looking to keep their key player but a high bid from both United and Barca might convince them to sell. Chelsea have opened talks with Bruno Fernandes of Sporting Lisbon and they will look to sign the midfielder come summer transfer window. Agent of Atalanta midfielder Bryan Cristante is currently in London to negotiate a deal with either Chelsea or Arsenal over a deal to move to any of the London clubs. Manchester United are revealed they are ready to listen for offers come summer transfer window for both Daley blind and Matteo Damian. The two players are out of favor at Manchester United and the club will be happy to cash in on them. Chelsea are reportedly ready to sign Leverkusen star Benjamin Henrichs and they will look to do that as soon as possible. Report as it that they are ready to pay ￡31m for the young star. Chelsea has place ￡88m price tag on N'Golo Kante who is targeted by French giant PSG. But report has it that Kante is not willing to leave Chelsea. Danny Drinkwater is currently considering a move to West Ham and the London club are also willing to snap him up for a fee of ￡30m. Which of this transfers do you happening?